BEIJING China’s defense minister met the head of Afghanistan’s army, thanking him for Kabul’s support in fighting what Beijing says is an extremist group that seeks to split off its western region of Xinjiang. 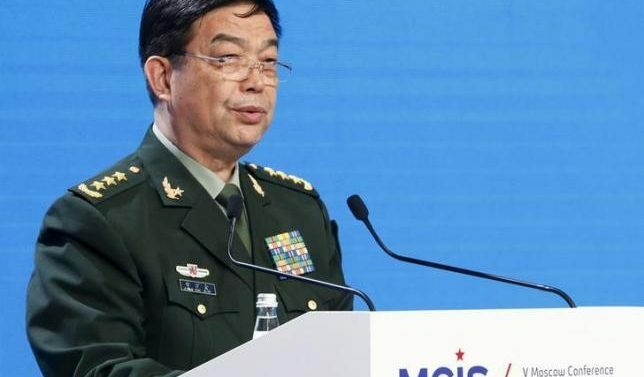 “I hope the two militaries can continually enrich the shape and content of cooperation and make greater contributions to safeguarding both countries’ security and creating a favorable environment for joint development,” Chang said according to the official Xinhua news agency late on Sunday. Afghanistan is willing to continue fighting ETIM by “deepening cooperation on personnel training and joint exercises and other means”, a statement on China’s defense ministry website cited Shaheem as saying. In public statements, the Taliban have said that they wish to have good relations with Afghanistan’s neighbors.